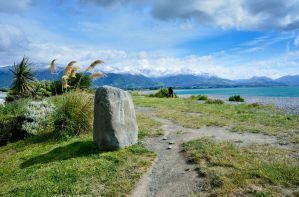 Kaikoura is your Launchpad to marine life on the coast of the South Island. The town itself has many activities and places to visit, such as whale watching trips, swimming with dolphins, a seal colony, the beach, and more. The hostels in Kaikoura are diverse in atmosphere, but most seem to offer comfortable beds, free Wi-Fi, and other standard amenities. You can't go wrong with any of the hostels we've listed here, as they all consistently receive great reviews from guests and have a long list of great features. 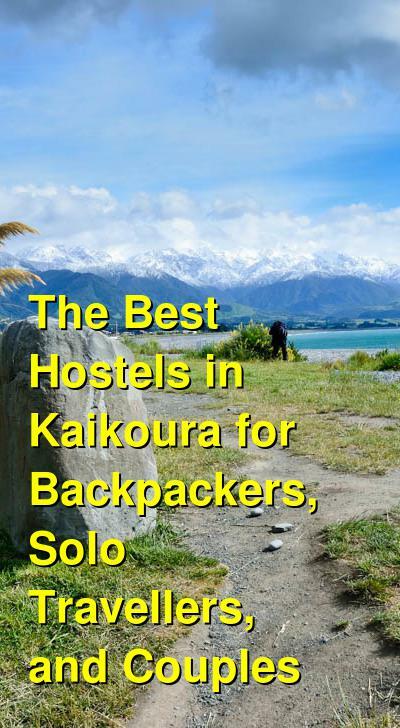 How much do hostels in Kaikoura cost? The Albatross is a great hostel run by travelers, filled with music and a fun, social, relaxing vibe. They have a great location in the middle of town, just a short walk to the shore, shops, restaurants, and also a short walk to the Dolphin Encounter. The atmosphere here seems to focus on music, with instruments and ukulele lessons offered by staff and sometimes other guests. Private rooms and dorms are available, all with shared bathrooms. A female only dorm is also an option. Facilities are modern and clean, even though the building is somewhat historic. The shared kitchen, dining area, and common room provide a terrific spot for guests to meet and mingle. They also offer free bikes to get around town. Other standard hostel amenities are offered, such as Wi-Fi, laundry, parking, BBQ, books and games, etc. This hostel consistently receives very positive reviews from guests, many of which highlight the friendly staff, the fun social atmosphere, the cleanliness, and the warmth in the winter (heaters, hot water, log fire, etc.). This modern and clean hostel offers a lot for backpackers in a convenient location. All private and dorm rooms have ensuite bathrooms, even the dorms, so you don't have to go into the hall. The facilities are modern and kept very clean, which is highlighted numerous times in the consistently positive guest reviews, so you know that the staff isn't slacking off here. Located in the middle of town, and a short walk to the beach, the train station, numerous shops and restaurants, and more, this hotel is in a perfect spot. But it's also quiet with a spacious lawn area and a great outdoor patio for relaxing with your fellow travelers. The communal kitchen is very large, and other standard amenities include Wi-Fi, parking, laundry, and more. The staff is also friendly and can help with anything you need. Just a short walk to town and located on the beach, this hostel receives great reviews for its comfort and warmth. They offer free bicycles so that you can get into town faster to grab food or see the local sights such as the seal colony. They offer private rooms and dorms, and none of the dorms have bunk beds which means everyone stays comfortable. The facilities are fairly new, modern, and clean, adding to the comfort. Other amenities on offer include a terrific kitchen with everyone you would need to cook your own meals, free internet and Wi-Fi, a game room with a pool table and foosball, free parking, and more. They will also pick you up for free at the bus! A high number of the guests leaving reviews state that they would definitely stay here again. Located on the beach and offering a huge sun deck, the outdoors are a focus of this hostel with a fun and lively decorative style that resembles an underwater scene. Private rooms and dorms, all with shared bathrooms are available here, including a female-only dorm option. Other standard hostel amenities include free Wi-Fi, free parking, a shared kitchen for those that wish to cook, hot showers, a steam room, and more. Facilities are modern and clean. Guest reviews tend to highlight the great view, the friendly staff, the overall level of comfort, and the awesome cat that snuggles with guests.